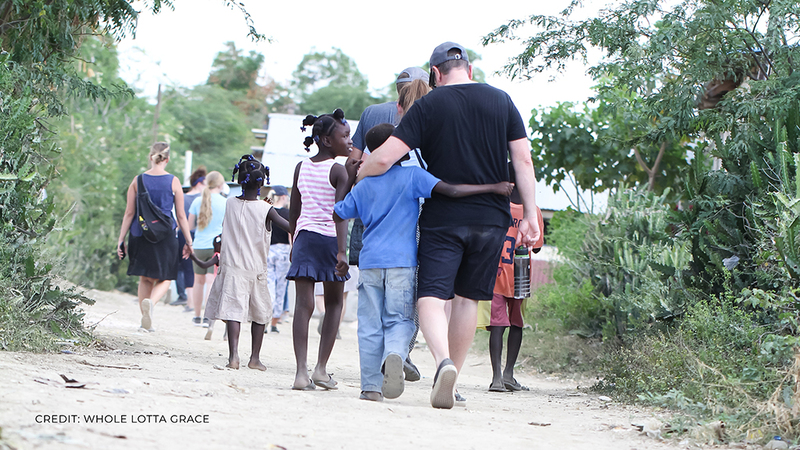 JOIN US IN BEING PART OF WHAT GOD IS DOING IN HAITI! You can join or lead a Short-Term Missions Team to Haiti. Our goal is to care for the physical, spiritual, educational, and future employment needs of nearly 300 orphaned and vulnerable children. 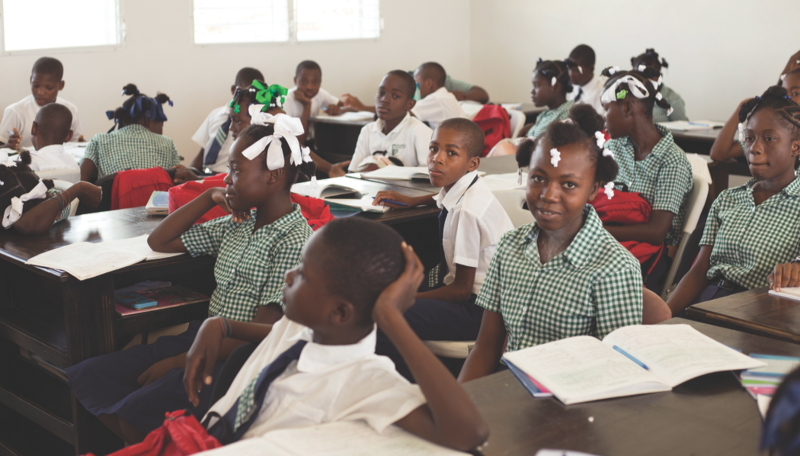 Together we are raising leaders of faith who will impact the nation of Haiti. Additionally, employing indigenous workers in self-sustaining business initiatives. *Additional dates may be available, contact us to find out. 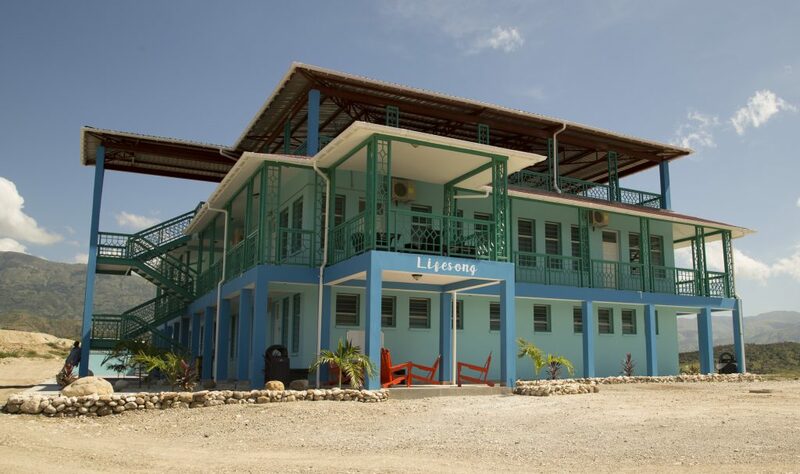 Your team will stay at our safe guest house which is a sustaining business on the Bercy, Haiti campus. The guest house can room up to 80, in 20-hotel style rooms. Included in your stay are 3 meals a day (traditional Haitian and American dishes) prepared at our guest house kitchen with trained cooks who have completed food health safety training. Our trips are ideal for individuals, groups, and families. If you are pregnant or think you might be during the trip, please check with your doctor and trip coordinator before planning to travel. 12 and over with a parent, 15 and over without. For all ages, keep in mind Haiti’s climate is hot and humid and our location is set on a mountainside, steep hiking may be required. Every skill level is welcome and can be used for the Glory of God. If you have professional skillsets in Medical, Construction, Electric/Plumbing, Education, specific ministry opportunities can be organized in advance. Get Started and Reserve Your Spot Today! See how your church or group can join in serving through Short-Term Missions Trip at Lifesong – MBO, in Bercy, Haiti. Leading a Short-Term Missions Trip to Haiti. Joining a Lifesong Short-Term Mission Team. Short-Terms Missions to share with my church. Is it safe to bring a team to Haiti? Lifesong – MBO makes our guests’ health and safety a top priority. Safety is always a primary consideration. Because of our missionaries experience and knowledge of Haiti and their surroundings, all precautions and details have been put in place for your safety and health. Our long-term commitment and involvement within the community have developed many close relationships with the locals. The community is familiar with Lifesong and we’ve worked hard to earn their trust and respect. We have employed any drivers that will be driving you as well we have hired local men from the community that are our security and our property is completely fenced with 24-hour security. Our guest house and restaurant were built with you in mind. We take great care in training our kitchen staff to prepare safe and healthy meals. As much clean water as you need is supplied. On the first night of the trip, our staff will host an orientation meeting that will help you be safe and healthy for the duration of your trip. Please feel free to contact us if you have more questions. How soon should I register our team? Due to limited space in our guest house (20 rooms), you should reserve your dates as soon as you know them. What is required for me to be a part of a team? See the considerations info above. Team size depends on availability. If you were to reserve the entire guest house with 4 to a room your team could be as large as 80. What if I don’t know how many will come? We can help you with this. Contact us to reserve your dates. You can always add people to your group, as long as there is space available. What ages can come to Lifesong – MBO? This varies depending on who will be with them. We have had some successful family groups with younger children. However, we recommend children be at least 10 and older with parents. For those coming with a youth group or mission team we would ask they be at least 15. Background checks are required for anyone over 18. What work projects will we be doing? Our on the ground staff has many needs and will prioritize those that are needed. They will also work alongside the team leader to understand better the skill set of those coming on the trip so we can best utilize their skills and talents. Your team leader will have a complete Team Packet with all the information you will need. What is the packing list? Do you have any fundraisers to help us raise funds for this trip? Yes. Teams and individuals can use mySTORY.lifesongfororphans.org, our free crowdfunding platform to raise funds for their trip. We have additional fundraising options and guides available as well, including letter-writing, coffee sales, through Gobena Coffee, and Both Hands project fundraisers. Is Lifesong – MBO affiliated with a specific denomination? Lifesong is a para-church organization. We are not affiliated with a specific denomination. Please read our Statement of Faith at lifesong.org/about, to learn more. We are happy to assist you in answering any questions regarding Short-Term Mission Trips to Lifesong – MBO in Bercy, Haiti.